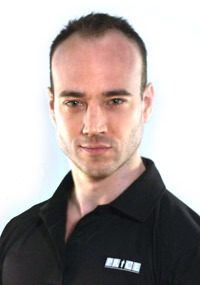 Bryan Richardson is an experienced fitness coach with over a decade of experience in the training industry. Sports and fitness have always been a part of Bryan’s life including several years of triple ‘A’ hockey and university varsity football experience. Bryan has spent time working with a multitude of clients all over the world, including three years of personal training experience in Gwangju, South Korea and over six months in Bangkok, Thailand alongside top ranked Muay Thai competitors. He has spent time with high level athletes and fitness beginners taking their first steps into a healthier life, and helped each client overcome obstacles and reach their goals. 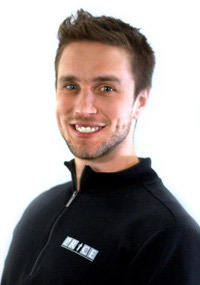 Bryan brings passion, enthusiasm and amazing humour to the fitness coaching experience. He loves to connect and coach each client individually to help them realize their potential. Bryan is a man of many talents and interests. Be sure to ask him about living overseas, being a pilot and an ordained minister! Jesse is a passionate and dedicated Fitness coach who has dedicated years to his education and helping others with their health and fitness. Jesse has multiple degrees including post-graduate work in Exercise Science for Health and wellness. He is a certified Excerise Phsyiologist as well as a registered Kinesiologist with OKA. His strengths are his caring attitude and ability to connect and have fun with each client. He is known for attention to detail in his coaching style, which allows clients to break through plateaus and achieve things they previously thought impossible. He enjoys teaching the skill as well as explaining the rationale to help the clients better understand why. With Jesse’s background in education he believes every session should be fun and educational for his clients. With over 3 years of experience Jesse has worked with a variety of clients. He has worked in Cardiac Rehab, trained elite level cyclists, and trained clients young and old who were brand new to exercise. Jesse prides himself in being able to help everyone no matter what his or her circumstances are. No matter what your perceived barriers are Jesse truly believes he can help you reach your goals. After 8 years working in the corporate environment of marketing, Bruna decided to change her whole life and career coming to Canada to study and dedicate to Fitness and Health field. Certified by the OFC (Ontario Fitness Council) and graduated at Conestoga College, she is now putting all the knowledge acquired into practice and bringing the best of each of our members during the sessions making the workout a nice and challenging time for them. 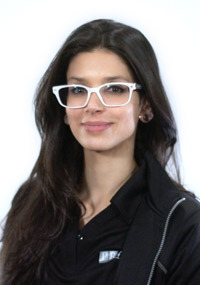 Bruna is also pursuing a Yoga certification at the moment along with her personal practice. Dr. Rob Green is a chiropractor, as well as a Certified Strength and Conditioning Specialist through the NSCA, and a Kinesiologist with the OKA. 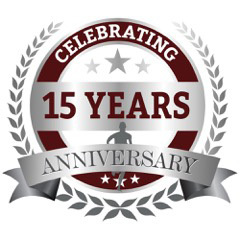 Extensive strength and conditioning experience and movement analysis training enable Dr. Rob to identify problems and weaknesses that may be contributing to pain or body problems. He then fixes them so they do not return. Dr. Rob believes the more a person knows, the more they can control their own health and fitness. A large focus of his practice is educating and supporting his clients. 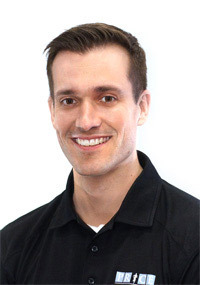 He has more than eight years of experience working as a Kinesiologist and Certified Strength and Conditioning Specialist with all levels of athletes in Toronto and Kitchener-Waterloo, and regularly works with high-performing athletes including CFL athletes, a top Canadian marathoner, elite Ironman competitors, national squash champions and varsity athletes. A former Wilfrid Laurier University athlete himself, Dr. Rob remains active playing basketball, squash and golf enthusiastically. He runs and trains to keep one step ahead of his clients, and he genuinely loves sports and fitness.